Calvin Klein captures an essence of modernity in all that he does. From the pared-down elegance of his couture designs to his fresh take on the world of fragrance, everything that the style maestro touches turns to gold. With almost 45 years in the fashion industry, Klein has single-handedly made designer jeans and underwear covetable, and has generated some serious fashion moments with his iconic advertisements. As with his fashion, each Calvin Klein fragrance expresses essential elements of the spirit of the times. 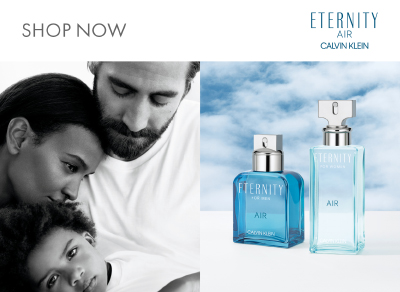 From the sophistication and sexiness of the collection fragrances Obsession, Eternity, Escape, and Contradiction, to the modern edge of CK One and CK Be, Calvin Klein fragrances embody the essence of modern men and women. Their passions, their spirit, their style.